Update: We have rescheduled the downtime to begin at 9:00 p.m. EDT. 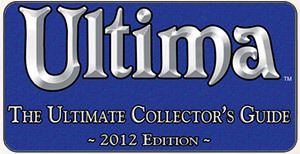 The update of Ultima Online to the new account center begins this afternoon. Downtime for game servers begins 2:30 p.m. 9:00p.m. EDT. We expect the game servers to be down for a few hours and return this evening. We will keep you updated as we have more information to share. Currently all player account information is moved and secure. Account age will not update for several days. We are migrating information from 14 year old database. In order to validate this volume of records, we are taking additional time to test and verify all individual accounts are correct before declaring the migration complete. DO NOT yet redeem your gametime codes. We discovered additional steps we need to implement before allowing players to redeem gametime cards. We will take steps to ensure all players whose gametime has lapsed can continue to play the game. When the game comes back online, the Return to Britannia program will be disabled. If you have trouble getting into the game please contact Customer Support. Our priorities are to move all your information securely, make certain we have all the new customer support tools are in place for this transition, and to return you to the game as quickly and safely as we can. Now some people are getting upset, throwing their typical fits over this. The way I see it, this is an area of UO that has needed fixing for many years. I’ve encountered problems with it, and I know others have. As the update mentions, they are migrating from a 14 year old database. The end result, we should have a better account system, which has been needed for many years, we’ll have accurate account age tracking, and if you’re in Europe, you’ll have more payment options. 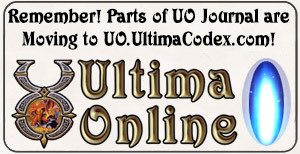 Personally I’d like to see something done with UOGameCodes.com as well, I think it should be integrated with our account system as well, but we’ll see. I can confirm that the servers came down, at least Lake Superior’s server did.